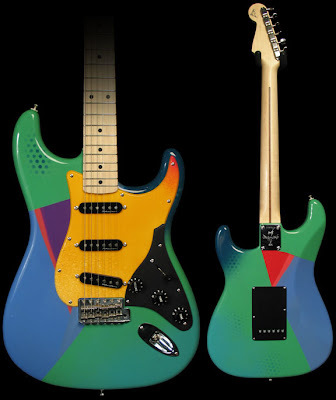 The Music Zoo currently lists this "Crash" Strat named for NYC graffiti artist John "Crash" Matos whose work also adorns the multi-colored Strats you've seen Clapton with in recent years. The guitar was master built by Fender Custom Shop's Todd Krause in 2005 and is part of a limited run of Crash Strats from that year. 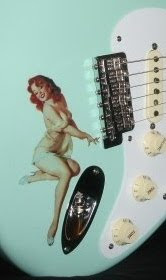 According to Music Zoo, this Strat- #15 - is the very same guitar pictured in the 2008 Fender Custom Shop Calendars. The guitar even ships with those calendars signed by Matos. Friday Strat Directory Pin It Now!